Tetris is a tile-matching puzzle video game. It was the hugely successful handheld version for the Game Boy launched in 1989 that established the game as one of the most popular ever. 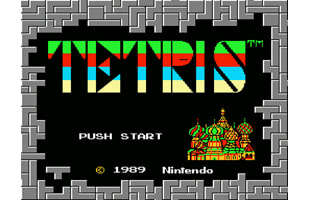 In January 2010, it was announced that Tetris has sold more than 100 million copies for cell phones alone since 2005. Premiere: Bay Swag and Rich the Kid Stack It Up on New Track "Tetris"
The Video Game Hall of Fame’s First Inductees Include Pac-Man, Super Mario Bros.
Father of "Tetris" Releases iOS Puzzle Game "Marbly"